Any blogspot links for this blog will no longer work. Please migrate to www.ultimateaddict.com for a brand new archive featuring updated lists for every year since 1930, and any (probably rare) future posts! A freelance film writer located in the UK. I write reviews and articles for online publications, as well as for this blog. All written material belongs to me, unless otherwise stated. 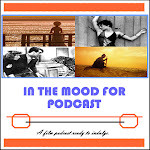 I co-host a podcast with Pete Sheppard of In the Mood For Blog. Comments for adem with an e.com | still always right. | Film news and opinion from a film snob's perspective.